We are experts in providing painting and respraying services to restore your uPVC doors, windows and conservatories. 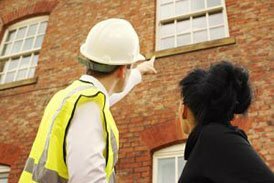 Restorations through uPVC spraying and painting are becoming commonplace, and why not? We will provide a comprehensive restorations service for you, to give your home a cost effective upgrade! uPVC Spray Paint is The Restoration Groups speciality, you would be wrong to go elsewhere. With some of the best prices across the UK for our brilliant services, why wouldn’t we be the first choice? Check out the benefits for uPVC Spraying as well if you need to know more. We can transform the look of your existing windows by spraying uPVC windows to give them a new lease of life – at just a fraction of the cost of replacing them! Make the first impressions count by using The Restoration Group. 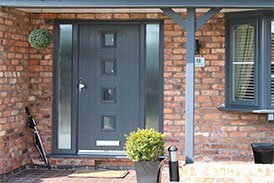 uPVC spraying your uPVC doors will improve the appearance of your home within 24 hours. 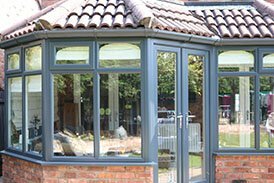 Create a beautiful contemporary solution using uPVC Spray Paint for your family conservatory, giving a stylish alternative which will also add value to your property. At The Restoration Group, we believe you don’t have to move to improve. We specialise in commercial uPVC painting to keep your workplace tidy. The Restoration Group will take care of everything for you. We are the UK’s experts when it comes to uPVC Painting and Spraying and is exactly why we should be the first choice. 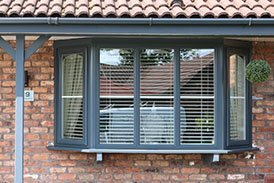 For more information on what we do check out our blog post on uPVC Painting Windows and uPVC Painting Doors. Why choose The Restoration Group? Based in the North-West of England, The Restoration Group offers a leading uPVC Spray Painting service. Our experts have years of experience in transforming, refreshing and modernising the home & office using the latest equipment and techniques. Restoration Group is the ideal answer for those who want their home or office to look like the new without the cost of replacing everything.